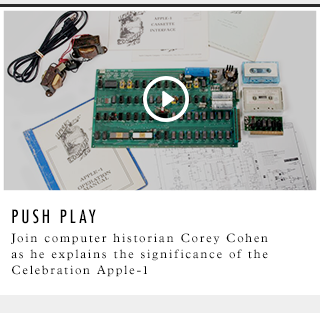 Take a byte of Apple Computer history with this rare vintage computer from 1976.
later, the business needed to borrow money and Wayne did not want to be responsible for possible debt and sold out his interest for $800. 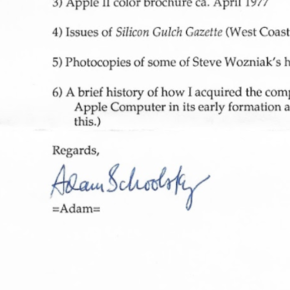 Original letter to the current owner from Adam Schoolsky with signature, dated 12/1/94. 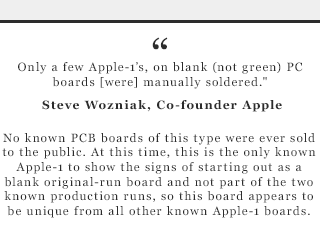 Wozniak liked to pull pranks on people and at the 1977 Computer Faire he had Adam Schoolsky help with what is known as the Zaltair prank. 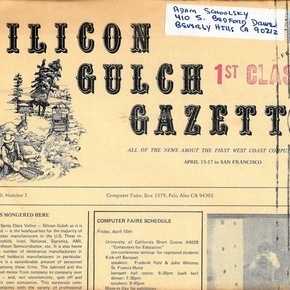 An original of the very first Silicon Gulch Gazette, Volume 0, Number 1, which was published to promote the West Coast Computer Faire. 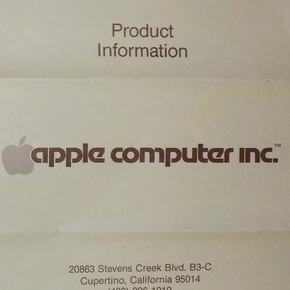 This is an original brochure and most likely the only one made that promoted both the Apple-I and Apple-II computer. 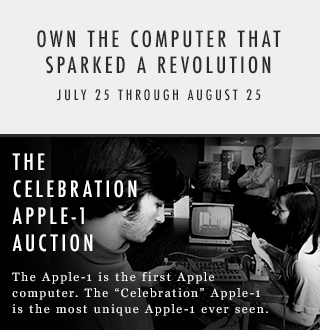 Foundation for Amateur International Radio Service, Ltd.
A portion of the proceeds of the sale of the Schoolsky Apple-I Computer will go to FAIRS. 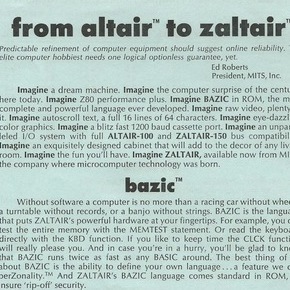 Since its inception in 1991, FAIRS has been providing equipment and technologies for greater communication between individuals, communities, and governments. 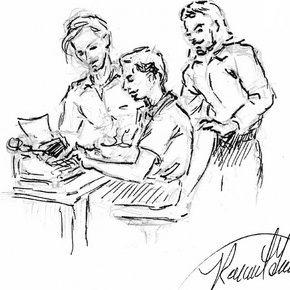 In addition, the directors and other volunteers have educated citizens in many parts of the world toward preparedness in the event of disaster, by the use of radio communication. 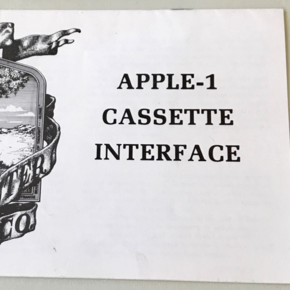 Rare original Apple-1 Cassette interface card.